Brewelist Advent Calendar 2016 – Day 15 – Super Mario Run Arrives! When it was first announced that Nintendo would be entering the mobile business, Jackie and I couldn’t contain our enthusiasm. Really, listen to our MiiTomo episode if you don’t believe me. 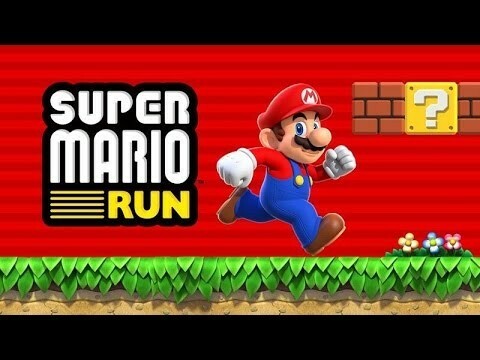 At that time, we also knew that everyone’s favorite plumber would also be getting a game called ‘Super Mario Run‘ and today it’s being released. This week there will be no beer news. Sorry. We’ve actually got quite a lot of beer for you. Plus news. Plus some new games. 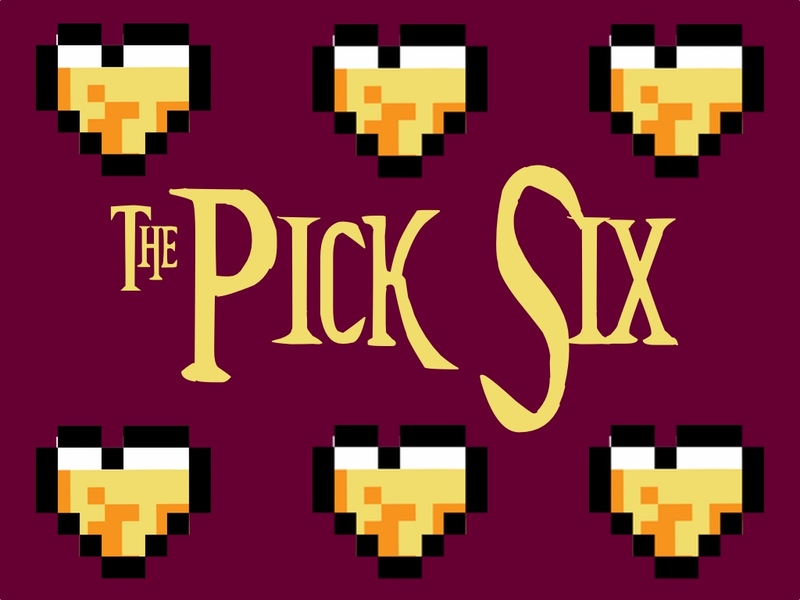 Let’s get this month off to a fresh start in this week’s The Pick Six. Saranac Summer Pils – 5.2% ABV, German Pilsener, Seasonal – Summer will soon be upon us (once the weather makes up its mind) and its seasonals are starting to pop up. Saranac’s contribution to the party is a hoppy German Pilsener. It’s light, refreshing and just enough hops to keep it interesting. Now if only drinking it would bring on the warm sunny days we’re all looking forward to. Stone/Dogfish Head/Victory Saison du Buff – 6.8% ABV, Saison, Limited Release – Stone’s been collaborating with some of their craft beer peers (last year they created North by South IPA with Sierra Nevada) and they’ve adopted “the more the merrier” with their newest release, Saison du Buff. This three-way collaboration with Dogfish Head and Victory is a Limited Release in the Saison style. The bottle describes it as “A farmhouse style ale brewed with parsley, sage, rosemary & lemon thyme,” which may make you think of an Italian dinner but it actually works well. There’s more hops and less effervescence than I’ve experienced in other Saisons but it is very tasty. So pick some up before it’s too late and decide for yourself. Nintendo Miitomo Invades North America – iOS/Android – We get to join those lucky, lucky Japanese in Nintendo’s first mobile app Miitomo. If you’re ready to waste a lot of your future life with the rest of us, you’ll get the most out of it by creating a Nintendo Account and linking your Facebook and Twitter profiles. The game is still in its infancy so we’ll see how it evolves (and how long we’ll be able to go until we get bored). The Star Wars game that I can’t stop playing – Yes, I’m well aware that Battlefront is the Star Wars game of choice for most gamers out there, but the one that keeps me coming back is Galaxy of Heroes. A turn based Roleplaying game, a la Final Fantasy; it boasts an endless amount of different characters, a fantastic leveling up system, and tons of different battle modes. It doesn’t take a huge time commitment and even with the Level 70 cap, there’s still more things to do after that. Lots of fun for Star Wars and video games fans alike. Blue Moon’s Packaging Is Getting an Update – Is it putting lipstick on the pig? A clever marketing ploy? The MillerCoors “craft” brand is releasing new packaging, set to start appearing on shelves today. The goal is “celebrating the notion that creativity is always brewing,” says Ryan Hemsing, director of marketing for Blue Moon. The company hopes to establish itself as a “gateway beer” to craft beer. If Blue Moon is the gateway, what should be the brand consumers pick once they’re ready to upgrade? Virginia is for (Craft Beer) Lovers – Deschutes Announces Plans to Open a Facility in Roanoke, Va. – After vetting “hundreds” of potential cities for the East Coast operation, they settled on Roanoke, Va. The project is expected to cost around $85 million, $3 million of which comes from Virginia’s “Commonwealth Opportunity Fund.” The strategic location will enable them to better distribute beyond the Mississippi and becomes the second big craft brewery to establish a base in The Old Dominion after Stone Brewing opened a Richmond-based brewery earlier this month.